In the last year I have written for the Library as Incubator Project. I thought I would share with you two books that I wrote about in case you want to use them with your littles in the New Year! They are fun books, and in the link gives movement ideas to try. I hope you can use them! Thank you for the books. 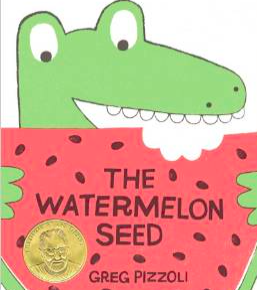 “The watermelon seed” already gave me new idea for a fresh new year beginning. New! Toddler Winter Lesson Plan! Creating With Kids Interview Link! Maria Hanley is an independent early childhood dance educator in Cleveland.